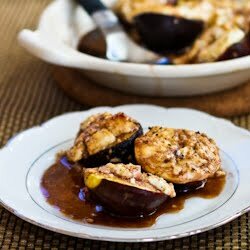 Sweet, tender figs, drizzled with a rich red wine reduction -- a simple, elegant and naturally gluten free, milk / dairy free & vegan dessert. While figgy pudding may have a special place in our hearts and a line (or 10) in "We Wish You A Merry Christmas", it is often the only interaction many (Americans in particular) will ever have with figs outside of Fig Newtons, and doesn't do this sensational fruit justice. Sweet, refreshing, bursting with flavor and a combination of tender flesh + crunchy seeds make figs a somewhat unusual fruit that goes horribly under represented in grocery stores and recipes. 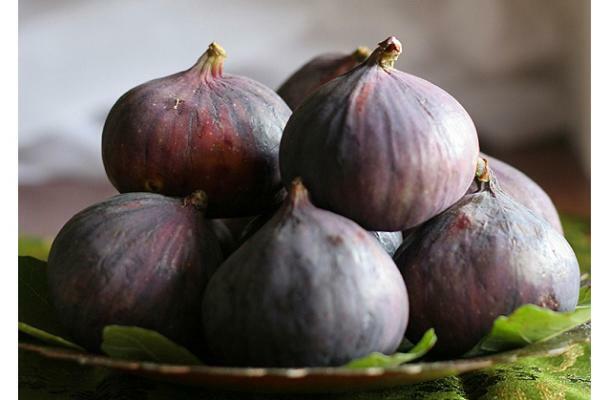 If you're fortunate enough to live in warmer climates, (sorry, Seattle but San Diego has sunshine) then you can probably get fresh, locally grown figs. For the rest of us, well, it's not quite as easy as walking into the backyard, but I promise it's worth it to track 'em down and have your mind blown. Here are 3 must try gluten free roasted fig recipes (GFCF milk/dairy free & vegan) to spice up your holiday season and introduce you to this good-and-good-for-you fruit! 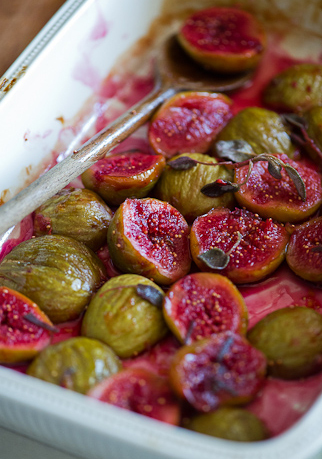 Now, you may have noticed, I write about figs a lot -- I'm trying to share my love with the world, one recipe at a time. 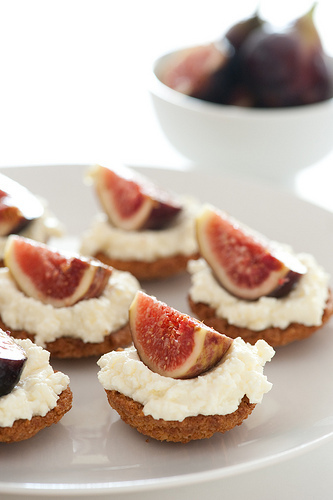 Here are more great gluten free fig recipes!